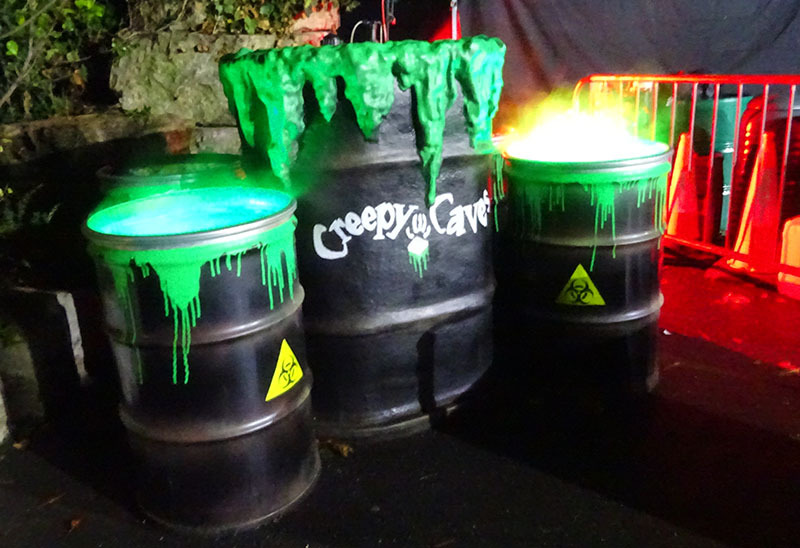 In somewhat of a departure from their usual spooky-not-scary kind of Halloween fun, Creepy Caves Unearthed is by far Chessington's most frightening scare attraction to date. And that's not "only suitable for children over 8 years old" kind of scary - this is a genuinely full-on adult scare maze, and it's a triumph. The maze's backstory is set around the closure of Creepy Caves, the zoo's former reptile exhibit which was shut down in 2016, with little-to-no explanation given by the park at the time. As the maze's storyline would have it, the real reason it closed was because zoo keepers began disappearing, at the same time as a strange new plant species was discovered growing inside. Secret agents take guests on a tour of the now quarantined exhibit so they can get to see the plants, protected by glass in a separate room, up close. What could possibly go wrong? Creepy Caves Unearthed begins in a tent outside, with the secret agent introducing the story and interacting with guests. Expect them to get up close, and pick on the vulnerable in the group! After descending down a metal staircase (or is that "scarecase"? ), the main adventure begins with several scenes within the former reptile house's laboratory. As the tension builds and finally overflows, guests find themselves racing past now-dilapidated animal enclosures, with mutant creatures jumping out at them from all directions. 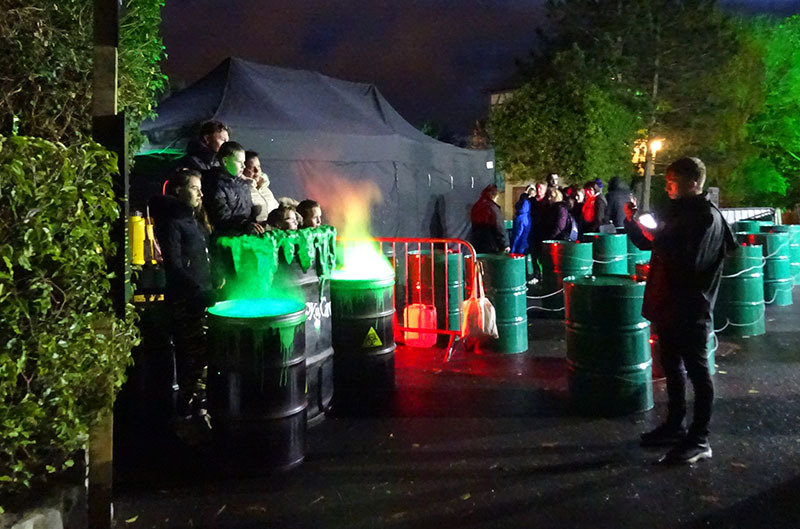 Everything is done brilliantly - from the pacing, to the acting, to the theming inside. It puts many other scare mazes to shame. The actors are brilliant at interacting with the group, responding to their reactions and providing a very personalised experience. There are some brilliant jump scares amongst everything else going on, and upon exiting the maze I was on a massive adrenaline-fueled high that I don't often experience with most scare mazes. It would terrify young kids so definitely leave them outside, but it's perfect for teens and adults alike.